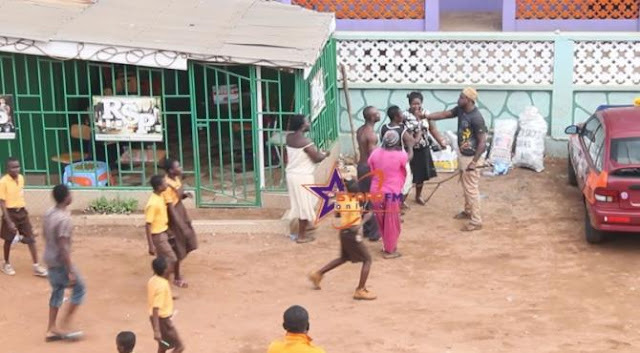 Some unidentified thugs on Tuesday physically attacked female teachers of Accra New Town St. John's Primary School. The attack follows a decision by one of the teachers to 'discipline' one of the pupils for misbehaving . The hoodlums beat and chased out teachers who were mostly females . The thugs also made away with personal belongings of the teachers. One of thugs is an alleged boyfriend of the class five (5) pupil who was punished by her teacher for misbehaving. Meanwhile, the Greater Accra Regional branch of the Ghana National Association of Teachers (GNAT) has condemned the attack ..
“We condemn and urge all well-meaning stakeholders to condemn in no uncertain terms this backward attitude of using violence to settle score in this twenty first century,” a statement from GNAT said. “The fact of the matter is that a P5 pupil of the school who had misbehaved was being disciples this morning by a teacher who was teaching reading. The pupil refused the punishment of kneeling and then left the classroom unceremoniously only to return with six unidentified men who started chasing and beating the teachers. Some of the teachers got injured and are receiving treatment from the hospital. Some personal effect like mobile phone, laptops and tables were stolen,” the statement further explained.